But that's not chicken in your chicken chow mein. It's a Cat's Life. What to Do? What to Do? 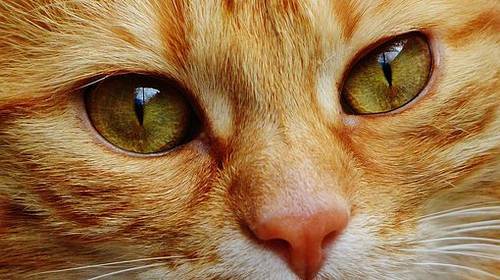 Do you wonder what goes through the mind of your cat? What do they think about all day? What would their daily calendar look like it they had one? 8:00 am. Stretch. Curl up. Time to take a nap. 10:00 am. Look out the window. Nap in a sunbeam. 12:00 pm. 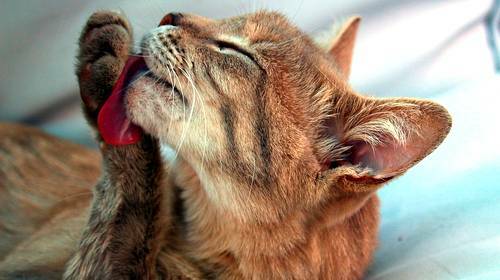 Lick paws after lunch. Lay down and rest. Snooze. 2:00 pm. Check on the baby. Chase tail twice then lie down for a bit. 4:00 pm. Stretch. Play with yarn for 2 minutes. Rest again. 6:00 pm. Sniff the smells in the kitchen. Pass out under the table. 8:00 pm. My humans are yawning. Me too. Better catch a few ZZZZzzzz's. 10:00 pm. Humans are going to bed. Joining them on their bed. 12:00 am. The house is quiet. Rummage the kitchen, open the cabinets, claw open the kitty nibblets, the barbecue potato chips, and the sweet bread. Pull open the refrigerator and lick the milk carton. Drag the baby's stuffed toys out of the toy box and hide them under the sectional and the recliner. Take a tongue bath. Leave the coughed up hairballs on the dining room tablecloth. 2:00 am. Rejoin the humans upstairs. Approach their snoring faces cautiously. Decide it this is the night to sleep on the male's face or the female's face. Sniff gingerly. Test their reflexes to find the most comatose. Knead claws on their chest to confirm. Carefully curl up in a ball on top of their face. 4:00 am. Stretch. Meow for food. Meow again. Louder. Knead claws on their bellies. Periodically extend a claw, especially into their calves and feet, it works really well. Duck when they throw the first 2 pillows. Rub fur against their legs intermittently as then begin walking toward the kitchen.